It looks like we’ve been had once again, folks. As the fervor surrounding No Man’s Sky begins to recede, Sean Murray and Hello Games’ algorithm-driven video game has become the target of many video gamers who feel as though they’ve been personally lied to by the developer. One particularly exhaustive effort that found its way to reddit listed dozens of occasions during which Sean Murray or a Hello Games developer alluded to a feature that didn’t show up in the final game. It’s an old story: The game community gets pumped over some bit of information — a trailer, a screenshot, a promise — and then spends months salivating over scant clues about a game’s content only to have their hopes dashed when the released game isn’t the same thing they hoped for. Who’s to blame for that, though? The developers who deliver something different than they claimed, or the gaming community who can’t seem to get it through their heads that developers are unreliable narrators, at best? In the case of No Man’s Sky, it’s entirely possible that the game itself was never going to meet the level of hype surrounding it. Hello Games’ exploration title, however, is far from the only video game that’s failed to meet fans’ expectations. Destiny failed to dazzle despite 18 months of hype. Assassin’s Creed Unity promised to revolutionize the annual series; instead, the bug-riddled title tainted the AC brand irrevocably. And while it’s considered a monetary success (thanks to the strength of its pre-order numbers), Watch Dogs was also dubbed a disappointment by gamers. 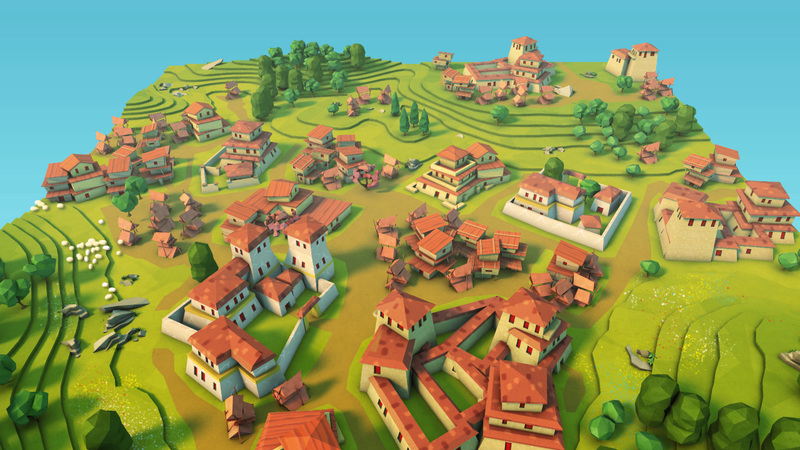 In one breath, Molyneux condemned his past exaggerations in marketing games – while simultaneously hyping his then-upcoming mobile and PC title, Godus. Add to that the fact that Molyneux’s game has since endured two years of criticism from fans who claimed that Molyneux stretched the truth when discussing its features. Every year, there’s at least one high-profile game that suffers the wrath of the community when the final product isn’t up to snuff. That reaction is understandable. It’s pretty frustrating when developers promise features that disappear between the hype and release day. The lesson? Developers need to learn to contain themselves. Peter Molyneux is one of the big offenders in gaming history, of course, but many developers — even good ones — are guilty of inadvertently selling fans on the basis of an incomplete idea. When The Witcher 3: Wild Hunt released, for example, it was a phenomenal game. But fans were still outraged that the graphics didn’t match the footage from the teaser trailer shown months earlier. In response to the controversy, CD Projekt Red co-founder Marcin Iwinski told Eurogamer that the difference between the small snatches of gameplay revealed in the trailer and the images displayed in the final game was a matter of balance. So, is it comforting to know that developers aren’t actively trying to deceive you? They’re just rushing from their offices to spread word of this awesome thing they’re working on. Developers (or marketing departments) are doing so without considering the possibility that what they’re gleefully sharing might be moot in a few months. It would seem that No Man’s Sky is just another in a long line of titles that developers overshared before they finished the product. They were excited. They thought it would work; and then it didn’t. The options here aren’t great. Either A) devs basically say nothing while they’re building a game; or B) they temper their boastful claims to the point of meaninglessness. There’s a happy medium there, but it’s not an easy one to strike. The solution doesn’t just lie with the developers. Players must learn to take video game marketing with a grain of salt, and try to judge a game by the product that shows up on the store shelves – not the dream sold by a starry-eyed creator.